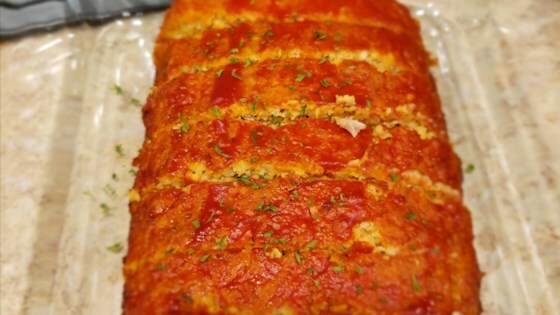 "After much trial and error trying to make a more healthy meatloaf, I came up with this recipe. It is important to make this on a baking sheet so the liquids can be drained off the meatloaf. Also, do not put the topping on before the meatloaf has cooked for 30 minutes. Turkey creates a lot of juices, so if you put the topping on first it will become watery and runny." The men in my family loved this recipe!! !